An ex-CIA agent's daughter is kidnapped along with a daughter of a U.S. senator on a trip in Thailand. Unfortunately the ex-CIA agent is Steven Segal and he is not kidding about. The overall plot i really simple, but along the way, it has a few twist and turns in and out of the gangs in Thailand. That part is a bit interesting, but also quite lame at times. Of course every encounter is either solved with a gun or a fist-fight. But what did you expect from a Steven Segal movie? On think that surprised me is how incredible similar this movie is to Taken with Liam Neeson. They are so much alike, that I at first thought that I had already seen this movie. I am surprised that this have not been pointed out in the press. 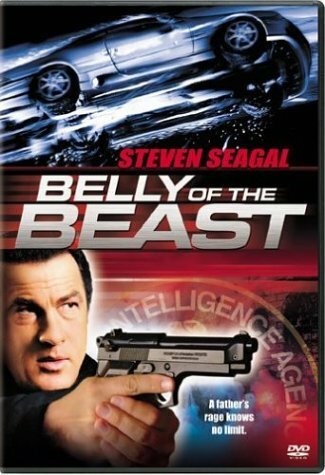 A Steven Segal movies is a Steven Segal movie because of Steven Segal. It would not be the same without him. Having this said, I do not this he is a great actor in any way, and he is only able to play one role. In his later movies I think his performance has been getting weaker. This is also the case in this movie. The rest of the cast is of very low importance for a movie like this, however Byron Mann's performance were just about average, which is a compliment for this movie. The special effects were typical for a B-movie. They were dramatically overdone and quite laughable most of the time. If you are not into martial arts B-movies and the plot have not scared you away yet, the effects surely will! But as long as you are prepared for it, the abundance of men flying through the air and incredible lucky shots with guns and knifes hopefully will become an entertaining factor borderlineing comedy. This movie is only recommendable for people with a keen interest in B-movies based on martial arts. anyone else would change channel withing the first fifteen minutes. All in all a rather bad movie, with an interesting potential for a plot but with poor actors and worse special effects. I would really recommend that you watch Taken instead. Really!